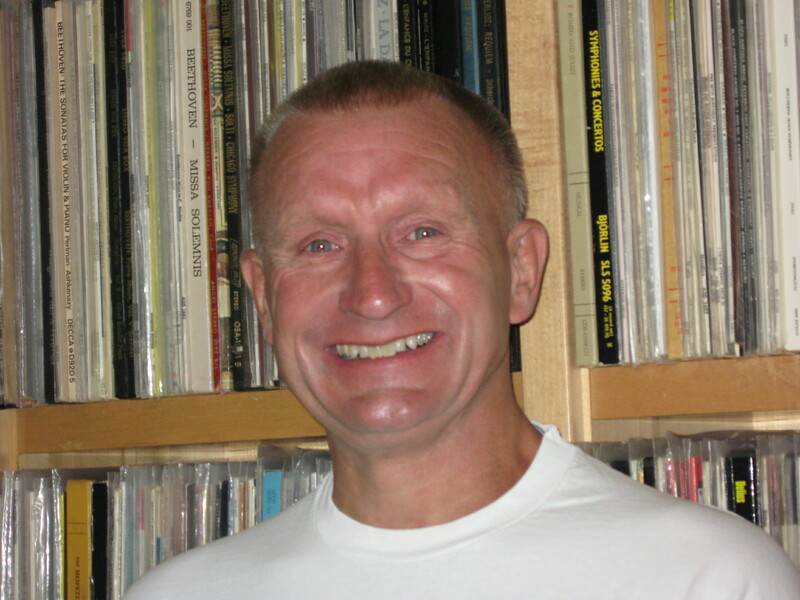 -- by Darryl Lindberg So, you need a new phono cartridge, but what to do? 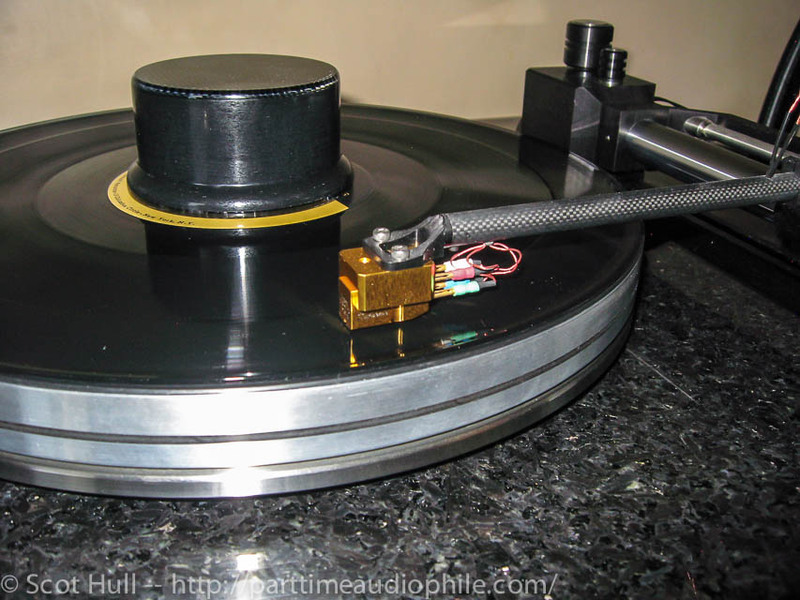 If you’ve liked that particular record scraper strapped to your arm, do you get it rebuilt (assuming it’s a moving coil)? If you decide on a rebuild, how long will it take? And if it takes more than a few weeks what will you use in the meantime? If you don’t have a serviceable spare handy, do you buy a new cartridge? If you opt for a new cartridge, do you a get a more reasonably priced model, the same or equivalent model, or do you go all out—or as all out as is fiscally (im)prudent? Those are the questions that I asked myself. I’ve been using and enjoying an Allaerts MC-1b Mk.2 for quite a while and, since the cartridge was slipping into graceful old age (far better than I am), it was time to do something. You see, I’m not one of those maniacs that changes cartridges at the drop of a stylus. For one thing, I can’t afford it. For another, I set up my own cartridges, which usually takes a good deal of physical (and psychological) effort to get right. Frankly, increasing the frequency of my cartridge changes would surely drive me to a psychotic—and possibly homicidal—episode. So there’s a public safety issue here. And, even more importantly, it wouldn’t maximize my listening time, which is, after all, the objective—isn’t it? But I digress, so now back to our regularly scheduled programming . . . The answer to the rebuild question in my case was that the turnaround for the Allaerts would probably take a year to eighteen months: jeeze! But the Allaerts is too great a cartridge to let lie fallow, so yes, I’ll go for the rebuild. However, the other cartridges I have on hand (a very lightly used Lyra and an equally lightly used Ikeda 9) are both pretty much a step down from the Allaerts, which means I’d be stuck with a less-than-optimal setup until the Allaerts returns home. Hmm . . . As I earnestly explained to my wife, the portents are all indicating that the purchase of a new cartridge is in order. So do I go with another Allaerts or roughly equivalent, move a bit downscale, or upscale? We’re talking high-end here, so need you ask? Of course I’m going for the more-than-optimal solution! But here comes the tricky part: now that I’ve convinced myself—and (amazingly) my significant other—that I must acquire an über cartridge, I have to actually make a choice from among the various candidates in the cartridge pantheon. Due diligence is the order of the day because, while I may be able to swallow a mistake to the tune of, say, $200, I’m not in a position to be cavalier about a multi-grand outlay. And, as we all know, high prices are no guarantee of superior performance. Compounding this quandary is the fact that dealers typically don’t loan out expensive cartridges—or any cartridges—for in-home demos. At least that’s my experience; but I don’t think it’s at all unique. So whatever cartridge I wound up choosing had to be the result of some inherently limited research and, ultimately, educated guesswork. The bottom line is that I came up with three candidates that I thought would probably meet my requirements and predilections: the Lyra Atlas, the Ortofon Anna, and the Air Tight PC-1 Supreme. I pretty much eliminated the Anna upfront, it being essentially unavailable in the U.S. at the time I was in the market. In addition, I’d heard that the initial Anna release in Europe was experiencing some teething problems. The Altas was certainly tempting in that I’d used various Lyra cartridges over the years and have always found them to be excellent performers. But, although I’m sure I would have been happy with the Atlas, a couple of things pushed me to the Air Tight Supreme: chats with folks who had some experience with both cartridges and the fact that I’d heard the Supreme in a number of admittedly unfamiliar but impressive systems. In addition, there’s the qualitative aspect of the cartridge being designed for the folks at Air Tight, who are highly respected manufacturers of tube gear. Since I also use tube equipment, I “reasoned” that the Supreme might fit just a tad better with my Jadis stuff. Yes, I know that kind of reasoning is just about as logically valid as “eeny, meeny, miney, mo,” but it works for me. Okay, so what’s a Supreme? It’s Air Tight’s top-of-the-line cartridge, designed by A. Miura who, in addition to designing his own cartridges for My Sonic Labs, has authored legendary efforts for Koetsu and Miyabi, among others. The Supreme itself is a further elaboration on Air Tight’s well-regarded PC-1 cartridge. It’s a relatively low-output moving coil cartridge (.4mV) with a semi-line contact stylus at the end of a boron cantilever. 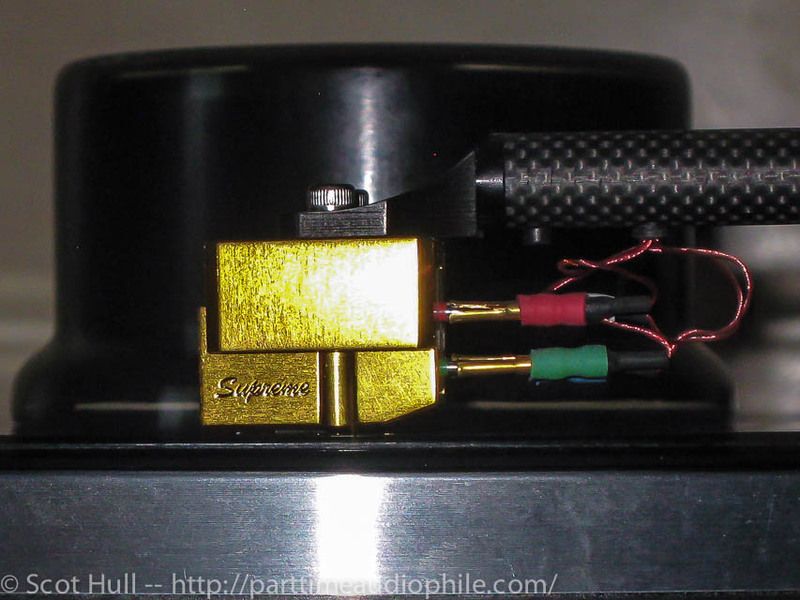 Particularly noteworthy is the Supreme’s exceptionally low internal impedance of 1 ohm. For the rest, since I’m neither an engineer nor a techno-weenie, I’ll leave it to you to check out the specifications of the materials, construction details, and secret voodoo ingredients (e.g., “Epoch-making Hi-µ core material . . .”) on the Air Tight’s website. As I looked at the Supreme ensconced in its nicely lacquered wooden box (within a nicely lacquered wooden box), it just reinforced the inescapable truth that cartridges are small, delicate, and, no matter what you pay for one, you always wind up thinking it’s an awful lot for something so small. Let’s face it: the total amount of material that makes up a cartridge is minuscule and some of a cartridge’s most important components are pretty much microscopic. For the purpose of comparison, a respectable speaker in the same price range as the Supreme can weigh over 100 pounds, while the Supreme tips the scales at 12 grams. If you’re of a sufficiently pecuniary bent to calculate the price per pound of, say for ease of calculation, a 110 lb. $11K speaker, you’ll find it comes out to $100 per pound, while the Supreme works out to a positively stratospheric $366,667 per pound—hey, that’s more than the going rate for dilithium crystals! Even considered on a per gram basis of $917, there’s no getting around the fact that the Supreme is a ludicrous extravagance. Yes, this kind of thinking is beginning to make me nauseous, too, so it’s time to move on. Now I’ve installed many cartridges over the years, but I must confess that I always approach the task with a bit of trepidation. And even though I’ve never trashed a cartridge during setup (after setup is a different matter), I sure didn’t want to start now by mutilating what is by far the most expensive cartridge with which I’ve had actual physical (and fiscal) contact. So even before I removed the cartridge from its lodging, I had all my cartridge setup paraphernalia neatly arranged and handily situated. But what about getting the cartridge out of the box? Oh oh. I experienced a couple of minutes of confusion—and relative panic—before I figured out how the darned thing was anchored in the box. Usually, a cartridge is secured by mounting it to some type of platform that you lift out of the box (Lyra used to attach the cartridge to a thick mirror that served as the alignment protractor). The Supreme, on the other hand, is screwed in from the bottom of the box (see photo), a discovery I made as I happened to absentmindedly turn the box over in my hands as I wept. Congratulating myself on my cleverness—as well as breathing a hefty sigh of relief while I changed my undergarments—I moved on to actually setting up the Supreme. The Supreme doesn’t have an idiosyncratic body shape, so it’s easy to align. The stylus is set a bit back from the front edge of the body, which does require a small amount of contortion to check its position; but it’s less hair-raising than setting up one of those cartridges with the stylus protruding far beyond the body like a mini-harpoon on the verge of impaling the vinyl — or a wayward finger. I must mention that the Supreme has a very nice stylus protector. I know it’s not that big a deal, but I’ve seen some (very) expensive cartridges that don’t provide any protection between the stylus and potential disaster, so indulge me. Other than slapping a slightly heavier counterweight on the Rockport’s arm, set up was essentially a non-event. I started out with the tracking force at 2.1 grams, but stepped it up to the 2.2 maximum recommended as the cartridge broke in because it just sounded better. And I certainly didn’t experience any tracking problems or channel balance issues. Also, I found that the Supreme needed a tad less damping than the Allaerts. 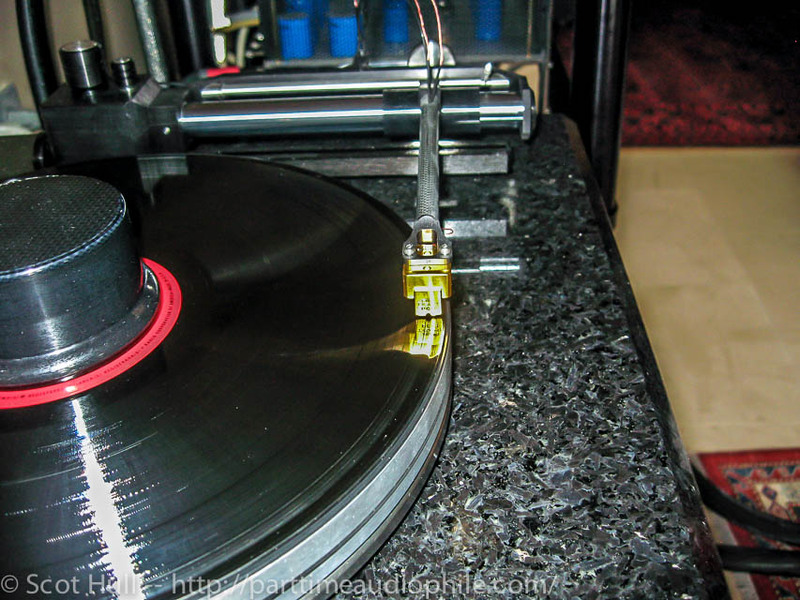 Regarding VTA/SRA … I confess that I’m not obsessive about these adjustments after I’ve dialed in the optimal setting for most of the records in my collection. I’ve found that good “average” records to use for VTA/SRA adjustments are late 1960’s Deccas (including London, Argo, L’Oiseau-Lyre) or EMIs of the same vintage. Once I find the sweet spot (in the case of the Supreme, the rear of the arm’s slightly above absolute parallel) for these discs, I just let ‘er rip. I’m not about to tell you that VTA/SRA isn’t important; it’s just not an adjustment over which I’m willing to get excessively preoccupied. Although I know there are those who will consider my approach somewhat of a compromise or outright blasphemy, I don’t: while some other guy is fiddling with VTA for each record, I’m listening to music. That’s not a compromise in my book. It almost goes without saying, but I’ll say it anyway: I’m comparing the Supreme to the Allaerts MC-1b Mk.2 that it replaced. So it’s a limited reference frame. And the Supreme costs more than twice as much as the Allaerts. And I spent my own oof on it. So if you think I’m rationalizing a ridiculous financial outlay, well, you may be right; in fact, there’s more than a reasonable probability that I’m predisposed to being satisfied. In any event, you should know that my “methodology” for evaluating the Supreme was laughably simplistic: I played about a dozen well-known, sonically good to excellent LPs with the Allaerts just before I installed the Supreme and then played them with the Supreme after it was set up in order to detect differences via my (limited) sonic memory. After about 100 hours, I felt the cartridge was broken in; I then replayed most of the initial LPs along with a smattering of some old favorites; then I played anything I felt like playing. More organic presentation: Maybe this quality could also be described as greater naturalness or coherence; but whatever it is, it’s something that’s identifiable and makes for a sonically and, most importantly, musically convincing presentation. More dynamic: While I wouldn’t say the Supreme’s performance in this area is a slam dunk versus the Allaerts, which is quite dynamic, it’s definitely better. The Supreme just seems to have a little more dynamic range and greater subtlety in expressing those dynamics. Quieter: I was surprised that the Supreme was noticeably quieter than the Allaerts. Why this should be the case is beyond my pay grade. It’s probably not because the Supreme’s output is somewhat lower than the Allaerts (.4mV versus .55mV), which I wouldn’t think would make much of a difference to my Jadis JP200 MC’s phono stage’s gain of >75dB. Perhaps it has something to do with the Supreme’s low (1 ohm) internal resistance. Another possibility is the difference in stylus profiles: I’ve been told that the more severe Gyger profile on the Allaerts is likely to be more unforgiving of vinyl imperfections than the “semi-line contact” profile of the Supreme. A mystery to me, maybe, but a pleasant surprise. To start out with a couple of examples of well-known, outstanding recordings, take Fremaux’s performance of Walton’s Gloria, etc. on EMI (ASD 3348). This LP has been justifiably praised in many audiophile quarters and from the moment the Supreme’s stylus negotiated the opening notes I was enveloped in the kind of “beyond-the-listening-room walls” soundstage that I was hoping the Supreme would deliver—along with a great sense of the recording venue and top-to-bottom frequency response. I’m not saying that the illusion was so real that I was duped into believing I was at a live performance. Pa-leeze! In addition to an enormous orchestra, there’s a chorus that’s composed of about half the population of Birmingham. There’s just no way that any system’s going fool a non-chemically impaired listener that he or she is “there” when it comes to music like this. That said, I sure was impressed by what I heard through my set-up. Another chestnut I spun was Nojima Plays Liszt (Reference Recordings RR 25). Now this happens to be the kind of recording and music that can sound uncannily fool you/real, given the right playback gear. Let me just say bingo! The record sounds better than I’ve ever heard it at Casa Lindberg. I guess I’m probably like most folks in that my record collection contains many good to very good recordings, but a much smaller number of sonic extravaganzas. And one of the tests I always use when I get new gear is to play these below sirloin-grade recordings in order to hear what it does with something that’s representative of a good portion of my collection. Why? I’ve found that a significant upgrade sometimes makes a much more dramatic difference in the reproduction of these recordings than recordings that already sound spectacular. Remember, there’s not a piece of gear that’s been invented that will transform a sonic turd into a camellia. But, my hope—my expectation, actually—is that my good to very good recordings will sound better. If you’re even vaguely interested in baroque music, Telefunken’s Das Alte Werk discs are always worth exploring: excellent performances that are, at minimum, very well recorded. One particularly delightful disc in my collection is Telemann’s Violin Suite and his Viola Concerto (SAWT 9541-B Ex), featuring Jaap Schroder on violin and the great Paul Doktor manning the viola. It’s very naturally recorded (no highlighting of solo instruments or inflating them to Godzilla-like proportions) in a somewhat resonant venue. With I Supreme, I got a spooky sense of the air or atmosphere of the recording space, which, of course, elevated an already engaging LP into a special treat. Similarly, the Supreme’s retrieval of the club atmosphere that’s integral to Jim Hall’s Live! LP (A&M SP-705) is made me want to call over the waiter and order a martini. I could almost smell and taste the long past but fondly remembered acridly smoky and whiskey-soaked interior of a small jazz club. The Supreme simply takes this honest but not outstanding recording up another notch. If you’ve made it this far, I think you get my drift, so I’m not going to bore you extolling the sonic splendors of the more obscure recordings in my collection (e.g., Works for Moldavian Yodeling and Harmonica Trio) . You may ask: is the Supreme’s performance improvement over the Allaerts proportional to the price differential? No. While the Supreme’s obviously better, there’s no way I’d describe its performance as more than twice that of the Allaerts. And, frankly, I would have been surprised if the Supreme thoroughly trounced the Allaerts. Remember, the Allaerts is an excellent cartridge in its own right and improvements at these levels are usually incremental rather than quantum. But all in all, I’m thoroughly delighted with what I’ve heard. The Supreme is an ideal match for both my system and my listening biases. And it fulfills my objective of replacing the Allaerts with something that’s even better. As I said in upfront, I’m not able to demo a number of expensive, limited production cartridges in my system, so I had to make a quasi-educated guess. And I’m quite happy with my choice—which is all that counts! 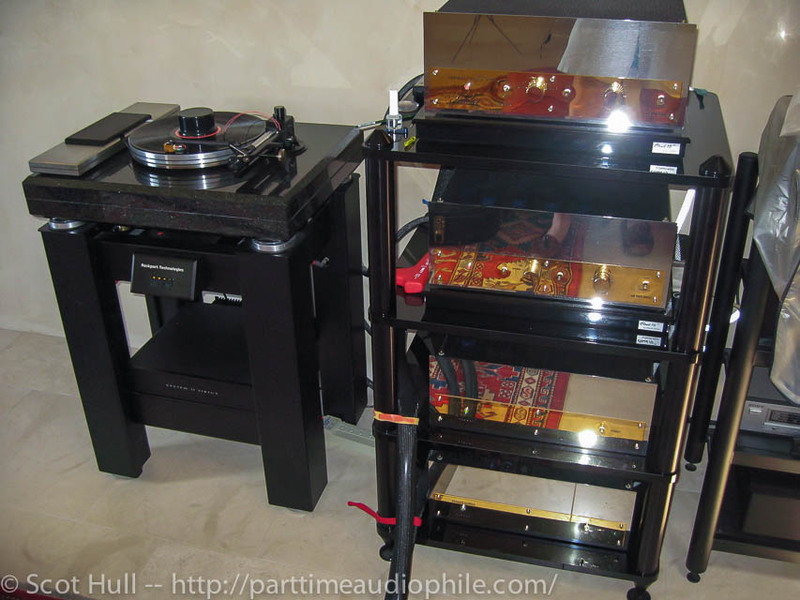 Preamp/phono preamp: Jadis JP200 MC “Anniversary” edition: silver foil capacitors, silver wiring, etc. 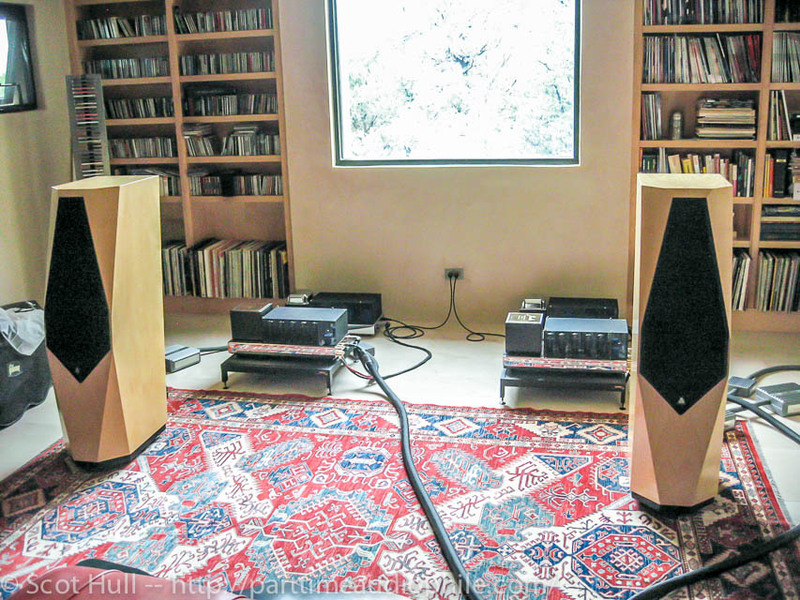 Cartridges: Allaerts MC-1B Mk.II, Ikeda 9, Lyra Clavis D.C.
Room: dedicated, purpose-built golden ratio proportioned listening room (LxWxH: 26.18’x16.18’x10’) with four dedicated 20 amp lines. In addition, the room is double studded and the walls and ceiling are filled with Cocoon cellulose insulation. The floor is limestone over concrete, covered with large area rugs. Is it fair to compare a new AT and an Allaerts in need of rebuild? When you get your Allaerts back a year from now, it would be interesting to have another shootout, wouldn’t it? Thanks for your comment. In answer to your first question, you’re right: it’s definitely not fair to compare the Supreme to my much-loved (and used) Allaerts, but that was the only basis of comparison that was available. Believe me, I would have loved to compare a new Supreme to a new or rebuilt Allaerts; however, that would have necessitated either waiting for the return of the rebuild or buying a new Allaerts–in addition to buying the Supreme. On the one hand, I’d have to postpone any improvements I’d hope to achieve from the cartridge swap, while on the other hand I’d have to make an even larger outlay of spondulicks. And I can tell you that the Supreme by itself stretched the Lindberg audio budget elasticity to the limit! In answer to your second question, yes a comparison with the rebuilt Allaerts will be enlightening. Of course, the Supreme will be a bit over a year old when the Allaerts returns, so it won’t be an apples-to-apples comparison in that there’ll still be a difference in age and use–not to mention my own age and use. I like your writing style,entertaining and refreshing. Thanks for the kind words. I sure get a great deal of enjoyment listening to my system, but it’s important to keep everything in perspective: it’s a hobby! If it ever gets to the point of an obsession and/or precious pretentiousness, I hope I’ll be sufficiently self-aware to recognize the telltale symptoms–and seek professional help. Thanks again. I see nowhere in this article where the actual price of the cartridge is listed, although you refer to the price at several points. It’s $11k. Check it out at Music Direct.